Duck-egg blue, the traditional colour of Marrakech, is the accent colour throughout the modern and stylish spa. This blends well with the calming tones of cream and natural stone. Le Spa reception has a retail area selling products by Thémaé, ila and Natura Bissé -- the brands used in the treatments at Le Spa at the Four Seasons Resort Marrakech. Two corridors lead off from reception: one to the male spa; the other to the identical female spa. Each corridor is lined with glass display cases of Djellabas, or traditional Berber robes. Female or male Djellabas indicate where you should be heading. Each wet spa has a sauna, steam and hammam rooms. The whole spa area looks onto its own herb garden via a full length window. At the centre of the spa is a round cold plunge pool, surrounded by wooden lattice screens. This is where you cool down after using the heat experiences. Once you have lowered yourself into the cold water, you can lie back and contemplate the star effect in the ceiling above you. The large oblong Jacuzzi, heated to 36 degrees, has strong jets to pummel tight muscles. There is also a private hammam suite with its own sauna and steam room. Le Spa at The Four Seasons Marrakech has 14 single treatment rooms and one double; there is also a private pavilion with two double treatment rooms. Each treatment room looks out onto its own miniature herb garden. (The Four Seasons Resort Marrakech grows the all the herbs needed for both their kitchen and spa.) 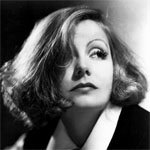 The treatment rooms are named after a locally grown plant, including saffron, neroli, rosemary, verbena, argan, and eucalyptus. The relaxation room also overlooks a herb garden and has large comfortable loungers on which to enjoy your post-treatment haze. Help yourself to various herbal teas and a selection of healthy snacks, including dried fruit and nuts, fresh apples and local oranges. 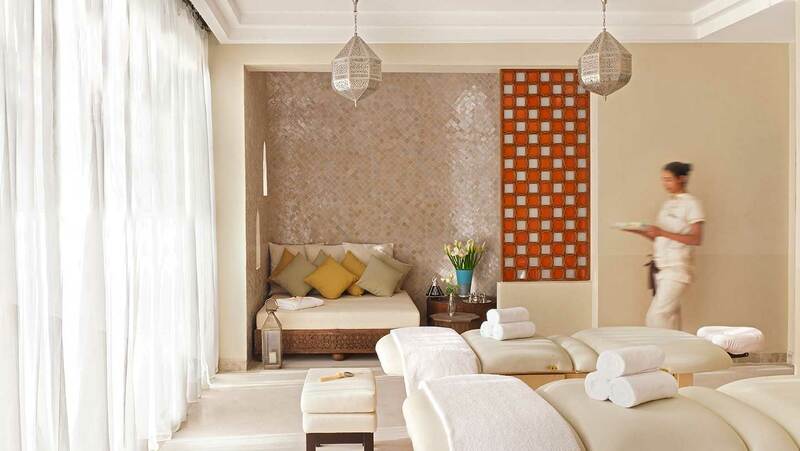 The Spa at the Four Seasons Resort Marrakech also has a manicure and pedicure suite and a L'Oreal hair salon. As in all spas in Morocco, the hammam is the experience to try at The Four Seasons Resort Marrakech. 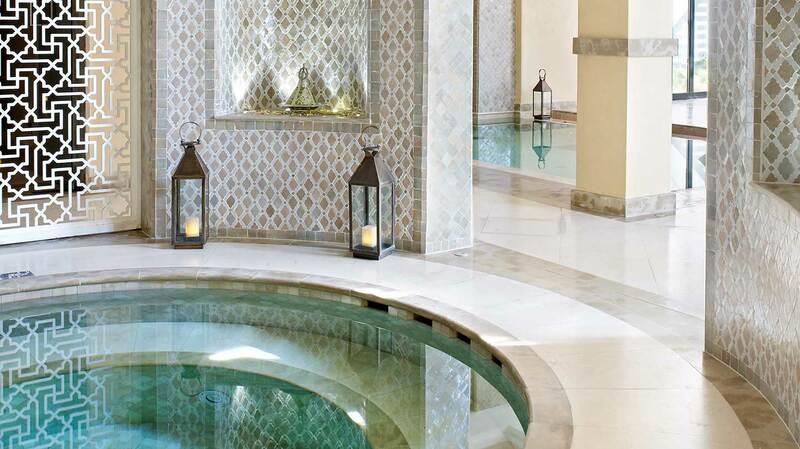 For total hammam indulgence, try the three-hour Moroccan Well Being treatment. This combines the complete hammam experience with the Four Seasons signature massage, followed by a facial using local organic products, tailor-made for your skin. For days when you just can't make up your mind whether you want to be in the spa or poolside, head to the Poolside Spa Cabana. Here you can choose from a range of tempting 30-minute ila treatments: "Sun Cooler" is for when you have overdone it in the sun, while "A Taste of Kundalini" aims to heal your chakras and soothe your nervous system. 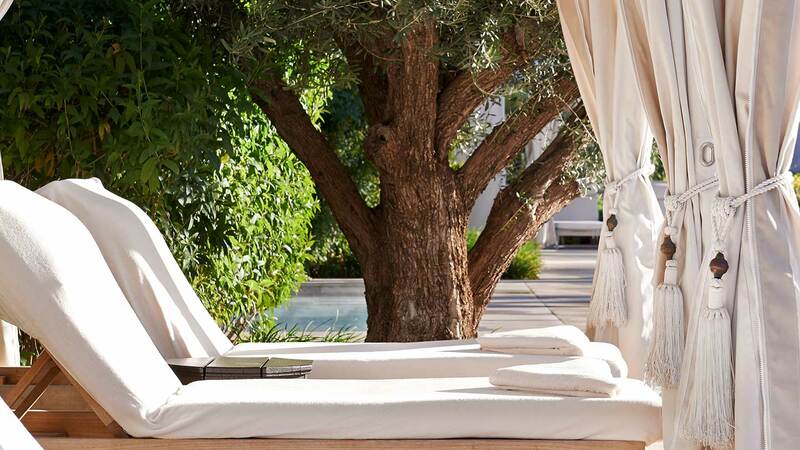 We tried the Four Seasons Massage of Morocco and were far from disappointed. 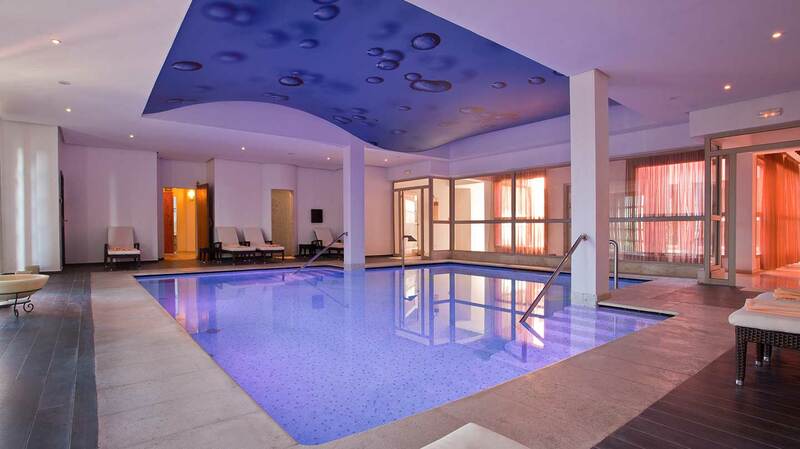 Families: The spa offers treatments for teens and also younger children, aged 6-11. Perhaps the Sweet Dreams Massage will soothe your little angels to sleep so that you can have a quiet evening? 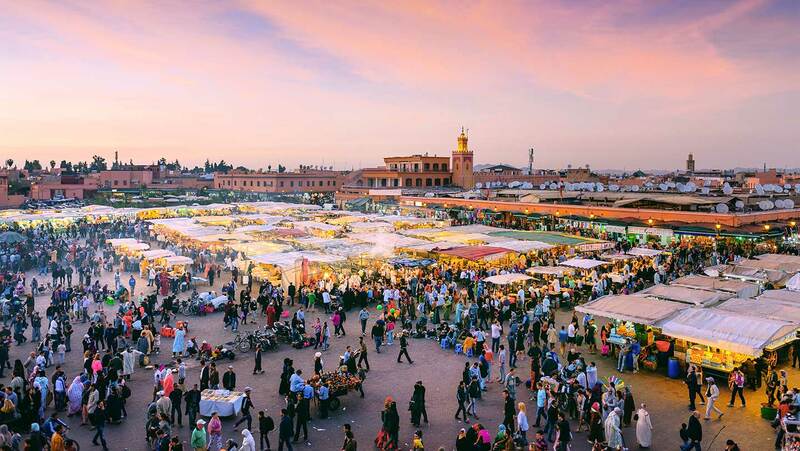 Yoga fans: There is a yoga terrace on the roof and regular yoga retreats at The Four Seasons Resort, Marrakech as well as a daily morning class. Resident yoga teacher, Perumal Koshy, has been teaching yoga for over two decades in America, Europe and Morocco. The most beautiful white spa robes ever: With towelling on the inside and a really high thread count, your robe will feel like silk.